I am your typical human. I often do the easiest things first before the more difficult. As I load the photos I have to the albums on my blog, I pick the families for which I have a smaller number. I pick the easiest fruit from the tree. But I think this is the first instance where I have loaded some family history photos from my mother’s side of the tree. Christiana Wilhelmina Knauke is my mother’s mother’s father’s mother. That makes her my Great Great Grandmother. Here is her family. I will not include the Andra line for when I upload those photos later. Christiana is the only one who came to the United States. Her husband was killed in a quarry accident. She sent her son to America with LDS missionaries two years before she and the rest of the family went. She moved into a abandoned home near the Jordan River in Salt Lake County. She raised pigeons for food and lived off the land. 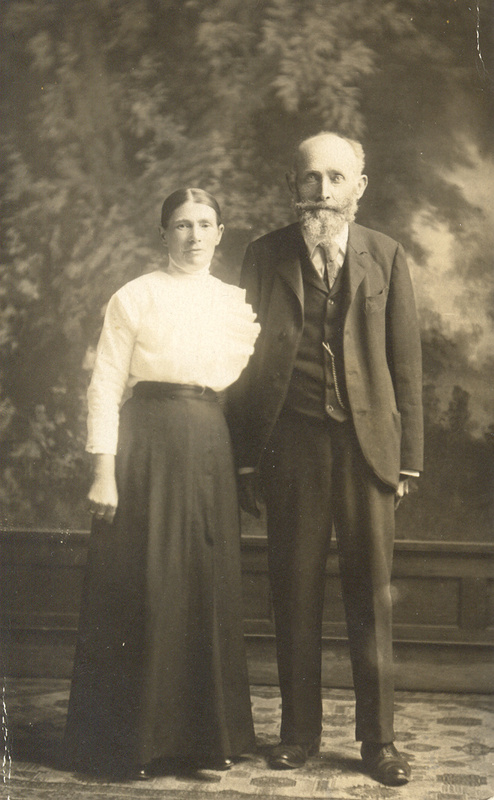 She later married Mr. Wendel.